Last year the Ventana Wilderness Alliance contacted me about creating a cover for their newsletter featuring these bats that were recently found by researchers in Big Sur. 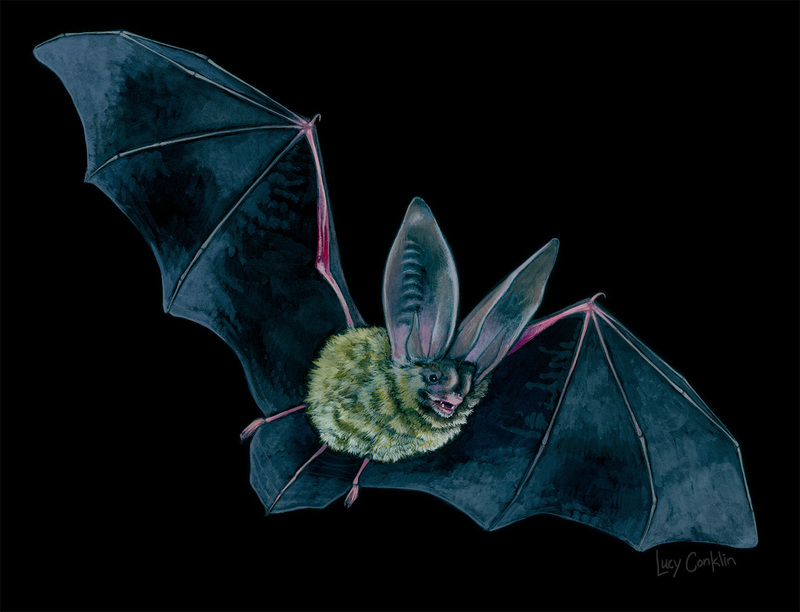 I love painting bats because they are perfect for gouache on black illustration board. The dark background is a challenge, but I love how much depth I can get in the fur.